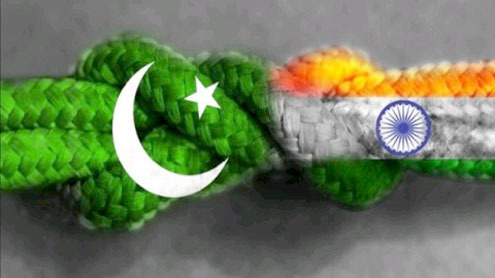 Writing in the website of the IDSA, Sushant Sareen describes India’s Pakistan policy as having been reduced to single binary. The main point of debate in New Delhi about its policy towards Islamabad boils down to whether we should diplomatically engage with Pakistan; whether or not our cricket teams should compete with each other; and whether or not our Prime Ministers should meet. On one hand, many like Rahul Roy-Choudhury of IISS, London call for continued engagement as they believe that talking to each other is the only way forward. There are varied views and voices on how to deal with Pakistan. This article looks at the current Indo-Pakistan relations and deliberates upon the importance of establishing levels in Pakistan to compel its leadership into changing its existing policies. With the first successful democratic transition, Pakistan seems to be moving towards a situation where democracy could find stronger roots. However, this does not diminish the significance of the Pakistani Army and ISI in Pakistan’s decision making apparatus. Decision making in Pakistan is alluding and fragmented. Each regime either military or civilian has had varying approaches. 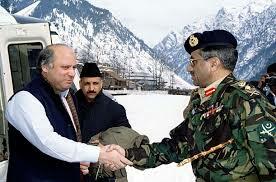 This article attempts to analyse decision making during the Pervez Musharraf regime using the 1999 Kargil Conflict and subsequent coup deposing the Nawaz Sharif government. The article employs three different decision-making models and applies it to the stated discourse. With the government’s long awaited approval of the Mountain Strike Corps, an interesting debate within the strategic community has sprung up showcasing the Mahan-Mackinder divide in the context of India’s China Policy. The debate was initiated by Rear Admiral Raja Menon’s opinion piece in The Hindu which argued that India’s weakness on the LAC can be balanced by further strengthening its relative edge in the naval domain. Many commentators have offered varied counter-responses to Menon’s piece, thereby enriching the debate of the topic. This article analysis the ongoing Mahan-Mackinder debate with regard to India’s military strategy towards China, and deliberates upon some Corbettian views which bring forth a sense of moderation and balance to the debate. India’s pipeline diplomacy over the past year has been a mixed bag. All the existing cross-border pipeline projects, viz Iran-Pakistan-India (IPI) Gas Pipeline, Turkmenistan-Afghanistan-Pakistan-India (TAPI) Gas Pipeline and Myanmar-Bangladesh-India (MBI) Gas Pipeline have made some headway. The government of India has already identified the importance of natural gas as a major contributor in India’s future energy mix. India’s participation in these projects will contribute towards improving its energy scenario. This article provides a brief review of India’s pipeline diplomacy, its successes and failures. Madras Café is a movie based on the problem of Sri Lankan Tamils and leads up to the assassination of former Indian Prime Minister, Shri Rajiv Gandhi. Watching the movie, the dormant anger against Prabhakaran got rekindled and the unjust thought that what he got was just, welled up in me. Prabhakaran and his ilk lost the “Eelam war” on May 21, 1991; the day when the former Indian Prime Minister Rajiv Gandhi was audaciously assassinated. The film covers itself with a lot of drama necessary for box office success but in the process sacrifices factual accuracy.The film has however brought out some basic truths. The film is too fast paced and dramatic to tell a story which has many angles to it. 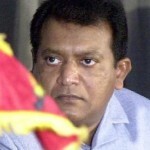 The author reviews the movie ‘Madras Café’ and presents his views and experiences of the Eelam War. Who will be the next Pakistan Army Chief? The retirement of present Pakistan Army Chief General Ashfaq Pervez Kayani this November after being at the helm of affairs for six years brings up the question of his likely successor. The appointment of an Army Chief is very important given the influence that the Army has over Pakistan’s foreign and security policy as well as the pivotal role it plays in shaping Islamabad’s policy towards India. In the past, the chief of the Pakistan Army has normally been chosen from the fighting arms especially from Infantry, Armoured corps and the artillery wings of the Pakistan Army. Though on paper it is the Pakistani Prime Minister who appoints the Army Chief, the current incumbent is believed to have an important say in the appointment of his successor given the Kayani would send a short list of three individuals for the consideration of the Prime Minister. 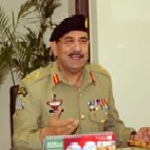 This article seeks to give brief profiles of the top five senior-most Lieutenant Generals one among who could be the next chief of the Pakistan Army. On September 1, 2013 at 19:16 UTC a Chinese Long March 4 C rocket placed a new ELINT constellation of Yaogan satellites into an 1100 km 63.4 degree inclination orbit. The Yaogan 17 triplet joins the Yaogan 9 and Yaogan 16 constellations of ELINT satellites. Though the Chinese media reported the purpose of new satellites as remote-sensing/scientific applications, land survey, crop yield assessment and disaster monitoring it is clear from the orbit characteristics that this is a part of the operational Anti-Ship Ballistic Missile (ASBM) System that China has put in place as a part of its anti-access and area denial strategy.